Last time we provided several examples of famous people who achieved their dreams, all because someone took an interest in them and offered to lend a hand. Caring facilitators, such as Oprah Winfrey, Steven Spielberg, and TBN cofounder Paul Crouch, Sr., follow in the footsteps of the Biblical icon Barnabas, who enabled the Apostle Paul to spread the Good News of redemption through Jesus Christ. Need a Barnabas? 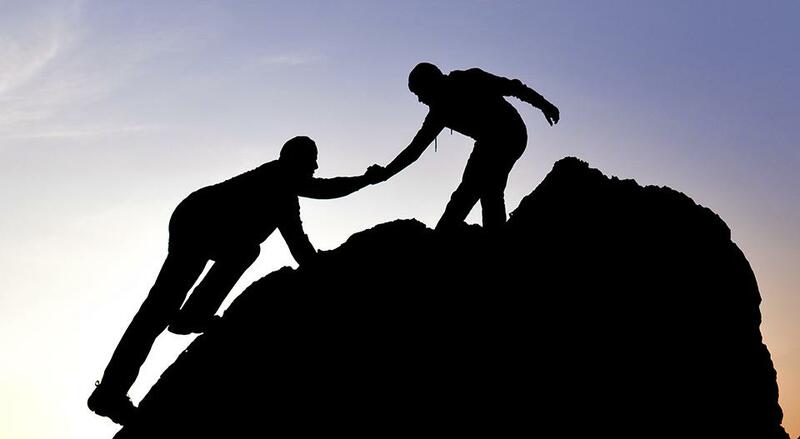 Finding someone who can help — and who’s willing to help — isn’t always easy. Sometimes it’s downright difficult, and for some very strange reasons. And yet, no matter how self-sufficient we are, sooner or later we all need a Barnabas: someone to put in a good word, introduce us to the right people, assist us with a project, or just be a good friend. But where do we dreamers and creators find such a wonderful and giving person, especially in a society filled with people who only look out for themselves? For that matter, why aren’t there more Barnabas people in the world? Fear, pride, jealousy, insecurity, stubbornness, and self-importance often lead people to willfully ignore and neglect those who could otherwise benefit from their influence and expertise. Sad but true. There are people who have connections, influence, and expertise, as well as the time and opportunity to promote others. However, due to feelings of pride and/or insecurity, they simply will NOT. In fact, depending on how deep these feelings run — and hence, what’s buried deep within their hearts — instead of offering you assistance, these hurting people may actually try to throw a monkey wrench into your plans. Jonathan Swift once wrote, in his Thoughts on Various Subjects, Moral and Diverting, “When a true genius appears in the world, you may know him by this sign, that the dunces are all in confederacy against him.” Well, in reality, you needn’t be a genius to become the target of someone’s wrath; you only need an exciting dream, and a sense of real purpose and destiny, like the Apostle Paul had. That’s right. Paul had more than a few “reverse” facilitators, too. He wrote from his prison cell, “I am well aware that some people out there are preaching … because of jealousies and rivalries. Their motives aren’t pure. They’re driven by selfish ambitions and personal agendas, hoping somehow to add to my pain….” (Philippians 1:15 VOICE) Did he allow it to steal his peace and joy? Not at all, because Paul knew that God was on his side. Not to mention, the Apostle had plenty of others who genuinely aided him, including THE Barnabas. 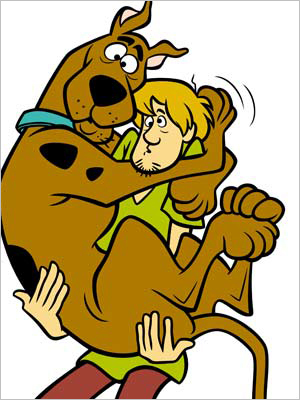 He ain’t heavy, he’s my Scooby! The cool thing about being someone else’s Barnabas is that your good deeds will eventually find their way back to you. That’s the way God works. It’s called the Law of Reciprocity. So, how do we act like Barnabas people? If you’ve already attained a degree of success, don’t allow your fame, fortune, or prominent position to go to your head. Despite those fanciful tales of self-made men and women, we seriously doubt you got where you are today all by yourself. So show your appreciation to God for sending mentors and facilitators into your life — by being open to any requests for assistance. If you have a platform (a ministry, a program, an audience, a readership) then consider sharing it with those individuals God sends to you. After all, it’s actually God’s platform. He’s just loaning it to you. Never give Him sufficient reason to consider passing it to someone else. Pastors and spiritual leaders, please be facilitators both within and outside your faith communities. We realize you have a vision for the future, but the people you serve often have their own God-given dreams. Don’t expect these believers to use their gifts and talents exclusively to support your ministries and agenda. If you can assist another creator or dreamer financially, then do so. Support new businesses by trying their products and services. Support budding actors, singers, and musicians by attending their performances. Support writers by buying their books … and so forth. Beyond this, we can offer genuine friendship and encouragement. We can earnestly pray for the endeavors of others and also do our part to spread the word about them, their talents, their works, or their products and services.